Education is one of the most powerful tools to bring positive socio-economic change in the country. In India, where educational access has traditionally been confined to upper caste males, the spread of education among socially disadvantaged groups and women has had extremely significant implications for the economic progress of these groups. Lack of education or inadequate education robs a person of equal opportunity to develop one’s capability to function effectively in society. Education increases one capability of achieving freedom to choose and contributes to one’s development, resulting into improved functioning and sustainability of democracy in both rich and poor countries. Education also has resulted into lower crime rate and not to mention has been one of the most important way of combating HIV and AIDS, both in developed and particularly developing countries. How important is female education? Female education is the key to transformation of the society. It is very well known, for instance, that there is a strong link between lower fertility rate and female education. Mothers’ education is an important determinant of health care and sanitation in a household, which reflects in, among other things, lower infant and child mortality levels. According to the Council of Foreign Relations, each extra year of a mother’s schooling reduces infant mortality by 5 to 10%. Education results into better participation of women in the workforce, expanding the income earning opportunities for households and resulting into participation of women in financial decisions, making them more confident in defining their place in the society. The World Bank points out that an extra year of secondary school increases a girl’s potential income by 15 to 25%. Uttar Pradesh paints a grim picture of education attainment. Although literacy levels have improved in recent years, more than two out of five of the 7+ population of the state and more than three out of five of the female population in this age group were still illiterate in 2001. The state is second lowest among all states in terms of literacy. Uttar Pradesh’s showing in terms of the percentage of the male/female population completing elementary schooling is considerably poorer than the national average. According to the National Sample Survey (NSS) 55th Round (1999-00), only 16.2 per cent of Uttar Pradesh’s population above five years in the rural areas, and 32.4 per cent in the urban areas had completed middle school, compared to 18.4 per cent of the all- India rural population and 41.8 per cent of the country’s urban population. This, taken together with the literacy profile and other indicators of educational access, implies a high inequality in the access to education across socio-economic groups. The availability of schooling opportunities in India and especially in UP varies on so many factors – geography, gender, caste, religion, social status etc. According to the numbers shown in Social development report of the planning commission, there are more than 20% fewer women getting access to education than men. As it is the percentage is way below the national average. In 1991, as depicted in the chart, only 20% (national average is 32.1%) of total girl population was educated where as the male education stood at 44.7% (national average is 52.8%); this number was even worse in rural areas where only 15% of girls had access to education as opposed to 41.5% of boys. Social group disparities in literacy also continue to be very large in the state. The literacy rate among SCs and STs has increased at a healthy rate when compared to the general population, but the deficit is still substantial, especially among women belonging to these groups. 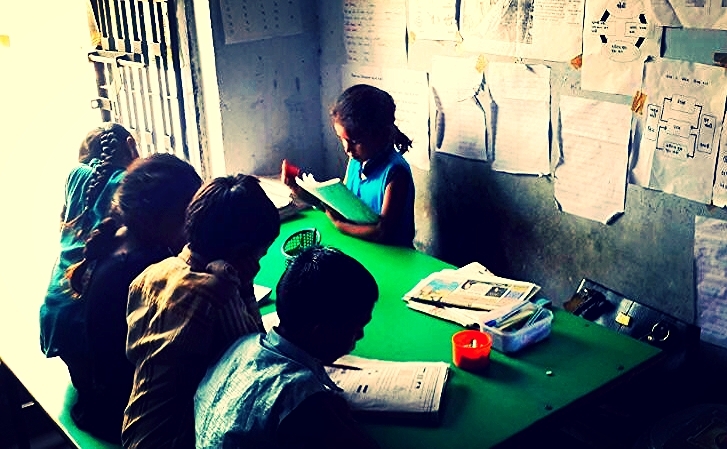 By 2001, Uttar Pradesh had achieved an overall literacy rate of 57.4 per cent (70.2 % for males and 43% for females). Yet it still ranks 17th among 20 large Indian states, with three-fifth of the women still reported as being illiterate. Besides the geographic location and gender of the child, religion and caste too play a very significant role in determining the availability of schooling opportunities. Enrollment rates among SCs and Muslims are very low in UP. The World Bank survey of two regions of UP – Bundelkhand and Eastern UP, showed that the enrollment among boys increased from 58% in the lowest quintile to 74.6% in the highest quintile, while enrollment among girls increased from 35.3% to 53.8% in the highest quintile. Enrollment among Muslims and SCs is much lower compared to other social groups, while children belonging to high caste groups enjoy nearly universal access to education. Thelargest difference being between SC girls in the lowest consumption quintile and boys belonging to the high castes in the highest consumption quintile. As we see, UP has a long way ahead in terms of providing equal and abundant educational opportunities to boys and girls from different economic and social backgrounds. Reaching the goal of Universal Elementary Education would require community involvement, building awareness, putting local need in the center of planning education programs and effectively managing the resources. Closing accountability loop should also be a big focus of govt. and private planning in this area. Challenges in terms of access. School dropout still remains a big challenge in the state. Most of the children that do not have access to the education setup or are for any reason forced to drop out, belong to poorer and socially deprived groups, and girls, obviously, bear a disproportionate burden of educational deprivation. A big percentage of schools still lack infrastructural prerequisites, and worse, teachers’ presence. There is lack of focus on accountability on the administrators and teachers, which in turn results into bad quality of education imparted at low efficiency. Many education reports also mention that – Per capita and per student public resources allocated to education in Uttar Pradesh continue to be very low. Government perhaps should rethink their allocated budget and resources.